Police say a gay couple was attacked and beaten -- one so severely he needed eye surgery -- early Friday morning in midtown, just days after another gay couple was assaulted by a group of men in the same area near Madison Square Garden. Port Authority Police say the couple was trying to get into a billiards club on West 32nd Street, but were denied admittance. They were then approached by a group of about five men who shouted gay slurs and began beating them. The couple tried to flee, and the men followed them and continued the attack. Police say they stomped on one of the men and dragged and kicked the other. The group ended up outside the PATH station on 33rd Street, where Port Authority police broke up the beating. Several suspects fled but two 21-year-old men were arrested and charged with assault. Police have released surveillance video of eight men they want to question in the beating of two men after a Knicks game Sunday. Anyone with information is asked to contact Crime Stoppers at 800-577-TIPS. 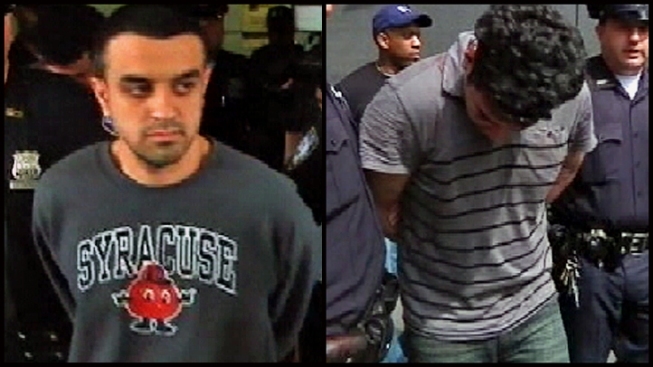 The two victims were taken to Bellevue Hospital. Police are investigating whether Friday's attack is related to an assault on Sunday on two men near Madison Square Garden. The victims were walking arm-in-arm at about 7 p.m. when a group of men in their 20s allegedly began yelling anti-gay comments, then pushed the victims to the ground and began punching one of them in the face, breaking his nose, authorities said. 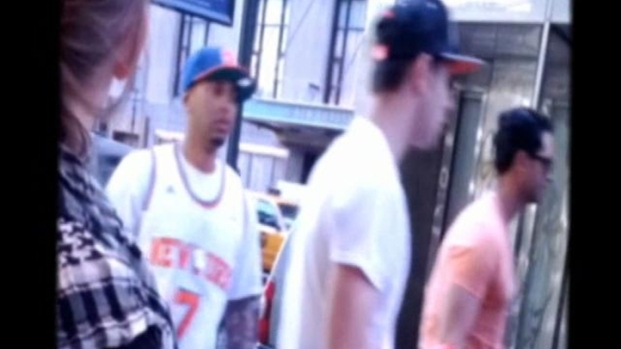 The NYPD has released new cell phone video showing the group of men who allegedly attacked a gay couple in broad daylight outside of Madison Square Garden. Pei-Sze Cheng reports. One man had a broken nose and the other had a bruised right hand. No arrests have been made in that attack.